Solarsilk teamed up with SS+K to create a Facebook application that actually helps the environment. 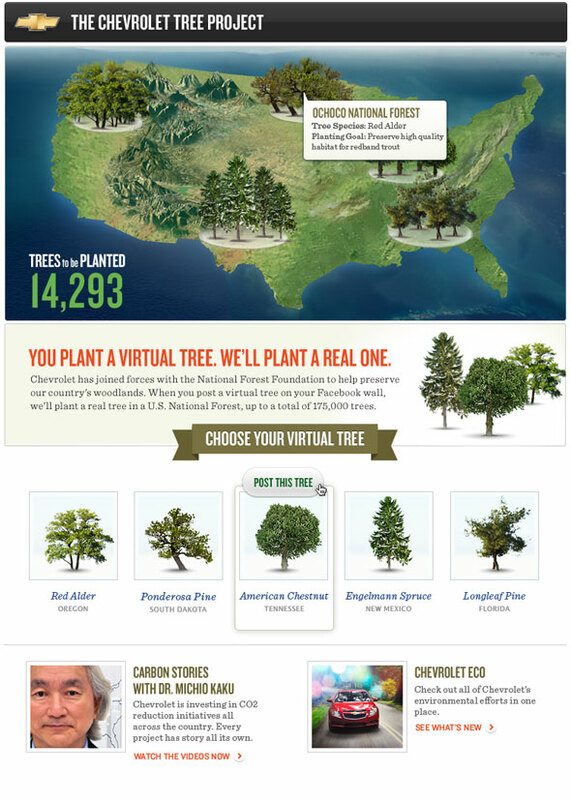 The app has a simple but powerful premise: “plant” a virtual tree on your Facebook wall, and Chevrolet will plant a real tree in a US forest, up to 175,000 trees. It was an honor to work on such a meaningful project.